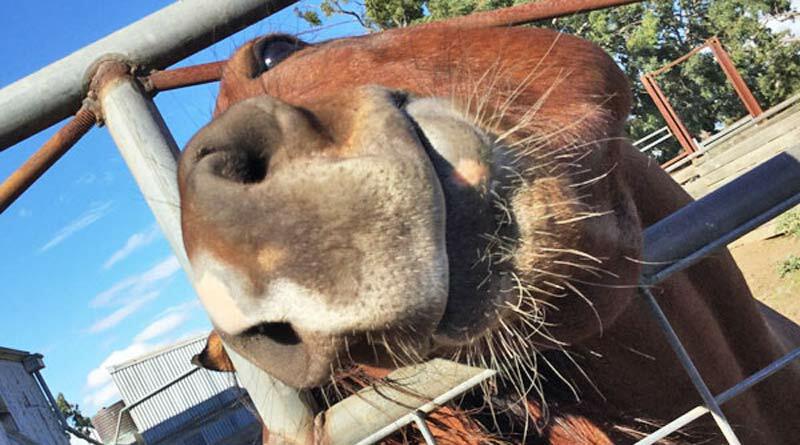 Nay to the neigh: Do you know what your horse is saying? Can you tell what your horse’s neigh really means? A survey is under way to determine whether humans can interpret horse vocalizations correctly. The University of Guelph research study is targeting humans from a variety of backgrounds and horse knowledge. Data collected from the survey will be compiled and analyzed to assess whether humans can accurately tell the difference between horse vocalizations produced in both positive (eg. horses greeting each other) and negative (eg. horse separated from its companions) contexts. Assessing the ability of humans to correctly categorize horse vocalizations into positive or negative states could suggest an evolved understanding of companion (domestic) horses. This study will determine how experience with horses may impact an individual’s ability to accurately categorize vocalizations. This study could also indicate areas of misperception of horse vocalizations among the general public and/or horse enthusiasts. The study is being undertaken by Dr Katrina Merkies and MSc student Haley Belliveau, from the Department of Animal Biosciences, Ontario Agricultural College at the University of Guelph. The survey is open to those 18 years of age or older, and entails listening to 32 short audio clips, and will take 15 to 20 minutes.